Land: A century ago, Ventura’s preeminent philanthropist, E.P. 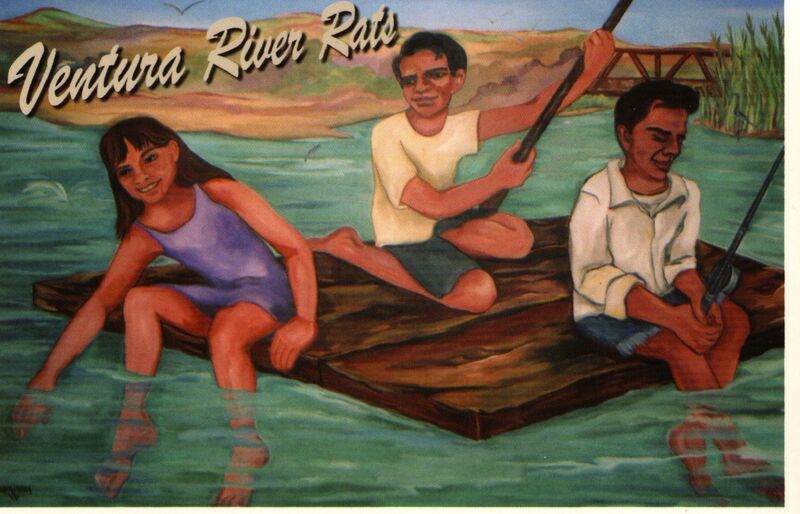 Foster, recognized the need to preserve the river for the public and donated the land for what are now Seaside Wilderness Park (the Ventura Fairgrounds), Emma Woods State Beach and Foster County Park. In the past decade, the Ojai Valley Land Conservancy and and its partners, have protected more than 2,000 acres of habitat preserves and recreational areas along the river thanks to community fundraising efforts and matching state bond funds. Trails: The river parkway features one of the first rails-to-trails projects in Southern California, the Ojai Valley Trail, completed in 1989. Its nine miles connect with the six-mile Ventura River Trail and Omer Rains Trail to create one of the finest multiuse trail networks in the region. Habitat: Ongoing efforts to restore the river to a more natural state will culminate in the removal of the Matilija Dam. When the dam is gone, the river’s steelhead trout will gain access to 17 miles of ideal habitat. The plans also include restoring habitat along the stream bank and increasing sediment flows downstream to replenish sand-starved beaches along the coast. 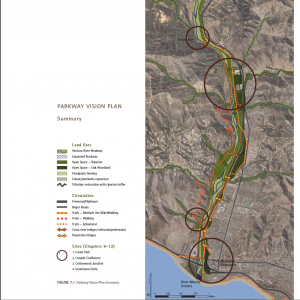 With your help, the Ventura River Parkway Vision can build on this legacy to reconnect our community to the river and assure public access along its entire length. The public interest is there. As evidenced by the hundreds of community members who participated in vision and planning sessions organized by Cal Poly Pomona and UC Extension, we can unite to develop a constituency and consensus for action. Partnerships between government, businesses, civic organizations, developers, landowners and the residents of Ventura and Ojai Valley are the key to making this vision a reality. There are many things your organization can do to help. Attend planning meetings. Participate in educational and interpretive programs about the river and the life it supports. 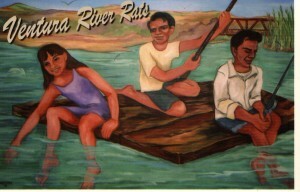 Express your support for protection of the river to your elected officials. If you have ideas, contact your local officials or any of the sponsors of this program to learn more about how you can be involved.